When the Los Angeles Lakers drafted point guard Lonzo Ball with the No. 2 overall pick, he was pegged as the guy to turn the Lakers franchise around by recreating Showtime. Ball’s impact has been seen so far through his first 15 career games, as the Lakers are playing at a much higher tempo than the past few years and his passing has become contagious. The one knock on Ball though has been his shooting, which has been atrocious. He is shooting 30.3 percent from the field and 23 percent from three-point range to this point. 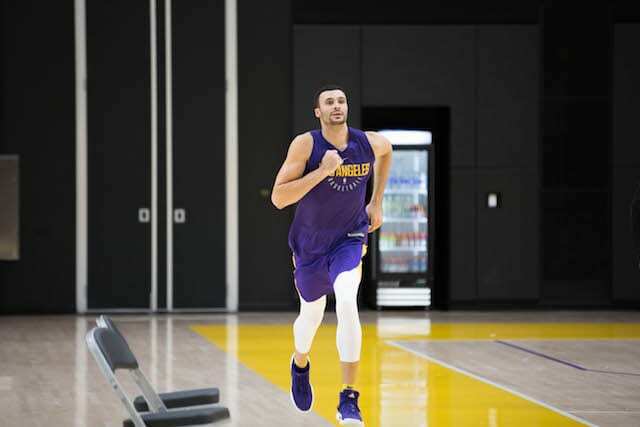 After his most recent performance against the Philadelphia 76ers in which he shot 1-of-9 from the field and 0-of-6 from three, Ball went straight to the practice facility to get more shots up to try and work out of his slump. Laker fans will welcome any change in regards to Ball as what he was doing the first 15 games in regards to shooting just wasn’t working. 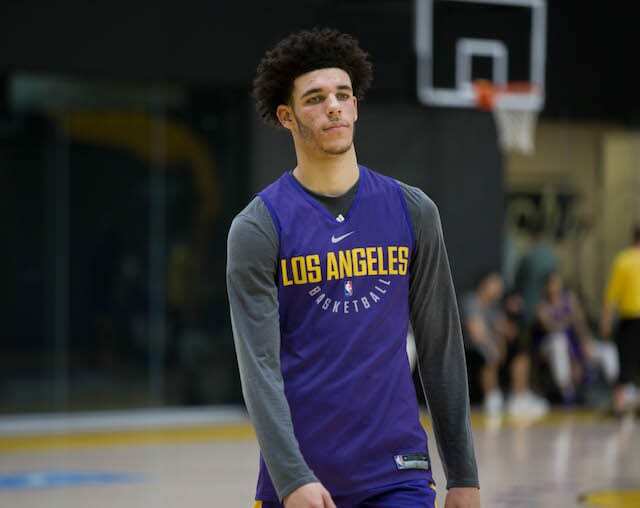 In addition to the haircut, which is the same one he had when he played well at UCLA last year, Ball was also wearing an undershirt during shootaround. He wore an undershirt during games at UCLA but since joining the Lakers has elected not to, so it will be interesting to see what he decides to do Friday night when the Lakers host the Phoenix Suns. While a haircut and undershirt won’t be the reason Ball turns his play around, Ball is taking the right steps by putting in extra work at the practice facility so look for him to conitnue to be aggressive looking for his shot and eventually they will start falling.